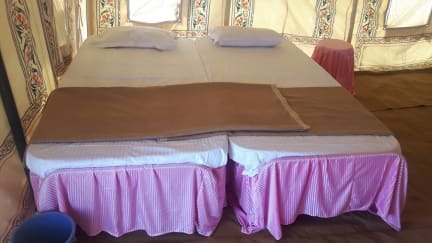 Camping Resort in Pushkar is Provide 3 star resort facility that was established in year 2015 with a view to provide Peaceful and wonderful stay for the travelers to pushkar. The resort is conveniently located so that all the city attraction could be easily reached. This is ideal for those who are looking for an accommodation in a convenient location. For the guests, it offers a Camping accommodation. The Resort also has a multi cuisine restaurant to serve the guests with gastronomical delights. The resort also has Swimming pool, Arrange for jeep / camel safari (chargeable service. ) etc. 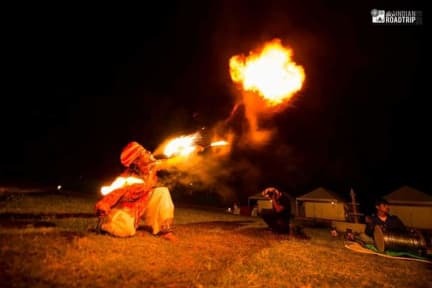 The resort also arranges for sightseeing trips to the city s attractions Some of the major tourist attraction are Pushkar, Brahma temple, Savitri temple , Rangji temple , Gurudwara Temple and Pushkar Fair .